Finding reliable information about low testosterone and testosterone replacement therapy is a lot like looking for information about dieting and fitness: nearly every source you’ll find on the internet or in magazines provides conflicting information, making it both frustrating and stressful to find the answers you’re looking for. In today’s post, we’ll answer some of the most common questions we receive about low testosterone and testosterone replacement therapy in order to clarify any misinformation you may have come across. Men’s Vitality Center provides a range of men’s health services in Glendale, including weight loss management, diabetes management, and cholesterol management. Our services have helped thousands of men in Arizona get back to feeling healthy and energetic. We’d love to help you restore your health and feel your best; contact our office today to schedule an appointment! Testosterone levels begin to decline in men starting at age 30. While regular exercise and a good diet can promote healthy testosterone levels, some men’s testosterone levels will drop to below-average levels after age 30. Lifestyle factors such as smoking, obesity, and alcohol consumption can also negatively affect testosterone levels in men of all ages. While it’s always difficult to determine the primary cause of low testosterone levels, we find that low testosterone is generally caused by a combination of age and lifestyle factors. Are Low Testosterone Levels the Reason I’m Feeling Depressed and Anxious? If you’ve noticed a decline in your motivation and a general feeling of sadness that you’ve never experienced before, low testosterone levels could be the cause. Low testosterone levels are known to cause feelings of depression and anxiousness, and many men with low testosterone report feeling “foggy” and “out of it” during the day. 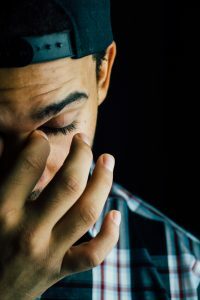 If you find yourself experiencing the symptoms of depression and anxiety, it’s important that you seek help immediately, even if low testosterone levels aren’t the cause. 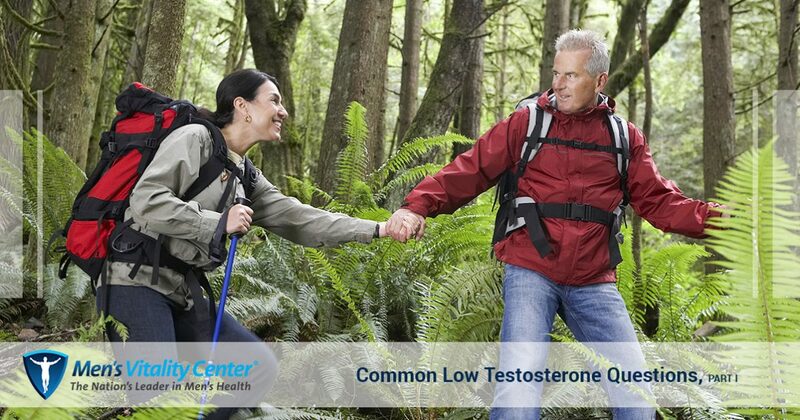 How Long Does It Take to See Results After Beginning Testosterone Replacement Therapy? Every individual is different, but the low testosterone therapies we offer at Men’s Vitality Center deliver noticeable results in seven to 21 days. While many testosterone replacement therapies such as patches and creams deliver inconsistent amounts of testosterone into the bloodstream, we use injections that provide consistent, effective relief from your symptoms. You’ll be given a shot of testosterone once each week in the buttocks, and your blood levels will be closely monitored by one of our physicians. You can expect to see a drastic improvement in your symptoms after three-to-six weeks of treatment. We hope that you’ve found this post informative. Stay tuned for future posts in which we’ll continue to provide you with answers to common questions about low testosterone and testosterone replacement therapy. Men’s Vitality Center offers reliable and affordable low testosterone treatments in Glendale. If you think you may be suffering from the symptoms of low testosterone, you don’t have to quietly suffer! We’d love to help you get back to feeling like yourself. Get in touch with our office today to schedule an appointment.